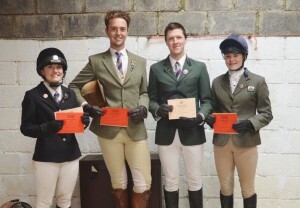 Well done to everyone who travelled al the way to Addington to compete. In the SJ Bethan from Neath and Elinor from Pembrokeshire both went clear in the forst round but had unlucky poles in the second. Congratulations and a huge well done to Cat Mayes Vale of Taf Branch. Cat has received the Hannah Francis Award. A fantastic weekend for our senior members with Emma Morgan S Pembrokeshire and Maddy Adams Tivyside gaining the B test. 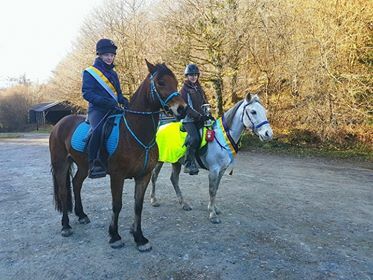 Anna Ridge Pembrokeshire passed the Lungeing with Cethin Ravenhill S Pembrokeshire, Anna Ridge Pembrokeshire, Abbi Jones and Emily Jones Swansea all passing the B+. Very well done with the examiners being very complimentary on your riding and you were all a pleasure to work with. A massive thank you to Ann and her team from Swansea who had worked hard to set up the field with some super XC jumps and even flowers for the arena. October 2018 A very successful trip to area 9 for Lucy Davies from Vale of Taf who passed her Lungeing and B test. Well done. Congratulations to Abi Phillips Swansea & District member who has been selected for the UK junior polocrosse team to play against Austrailia. Congratulations from all in Area 18 to Tivyside member Adam Carlile. He has been selected for team GB on the International Tetrathlon Exchange to the USA in July 2018, where he will act as team captain! Well done to Vale of Taf who recently won the NFU Mutual Area Quiz organised by St David’s branch. 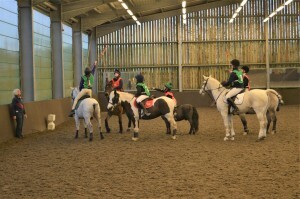 Good luck in the finals at Addington Manor! Photo on the Quiz page. 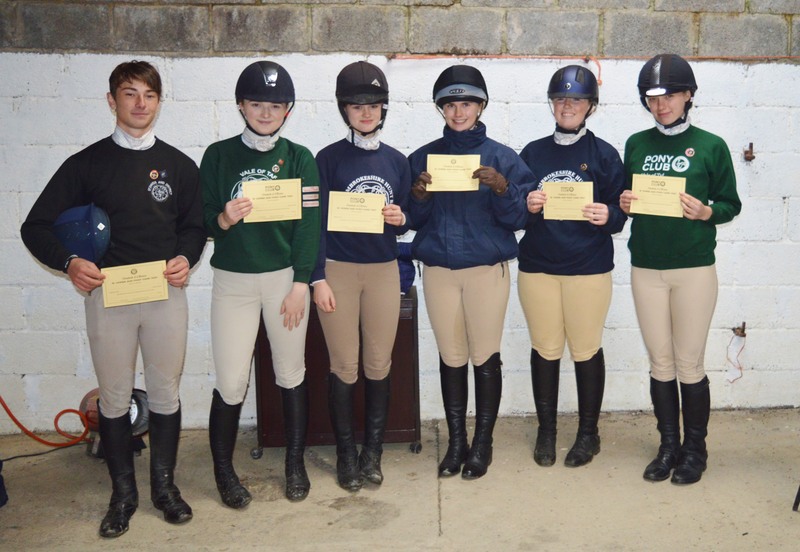 Well done to the following who were successful at the Area C+/B Test (Care) at Hafod Stables organised by Andrea Philipps: C+ Test – Tirion Lloyd (Vale of Clettwr & Llangeitho), Harriet Davies (Carmarthen Bay), Heidi Lewis (Carmarthen Bay) C+ Care: Molly Cressey-Rodgers (Carmarthen Bay), B Test Care: Louise Mear (Pembs Hunt), Kirsten Davies (Carmarthen Bay). Keep your eye on the Training Pages for more news of upcoming Area B Test Training and Exams! Congratulations to Emily Cooke and Cerys Hill from Amman Valley Pony Club. Emily won the Pony Club Open Endurance league 2017 and Cerys was third; well done girls! Here they are with Taz and Boy proudly wearing their sashes. A fun morning was had a Pibwrlwyd recently when members from several branches got together for Polocrosse Training, kindly organised by Doreen Vanstone. For information on further dates please see the polocrosse page. 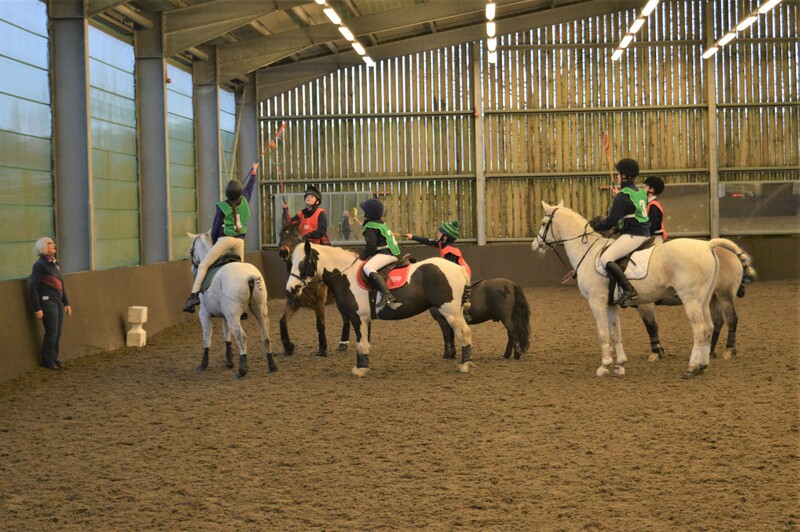 The area B Test was held at Brynllewelyn on 5th November, arranged by Andrea Philipps. Congratulations to all candidates who attended. Anna Ridge, Hannah Warren, Theo Owen and Adam Carlile passed their B Test Riding. Anna, Hannah and Theo had passed their B test Horse and Pony Care previously so now hold their full B Test. Emma Muscutt passed both elements on the day, so was also awarded her full B Test. Emma Morgan, Gwennan Brackenbury, Jerry Owen, Maddy Adams and Sian Jones all passd their B Test ‘Care’. Well done everyone! Well done to everyone from the area who traveled to Cholmomdeley Castle for the Pony Club Championships and Rectory Farm for the Land Rover Regional Competition. Some great results, but HUGE CONGRATULATIONS to Banwen who won the Senior Mounted Games and the ‘golden ticket’ to HOYS! It is a very expensive trip; the branch would be extremely grateful to anyone who could help with their fundraising. Well done to all the tetrathletes from Area 18 who travelled up to Bishop Burton for the Tetrathlon Championships. 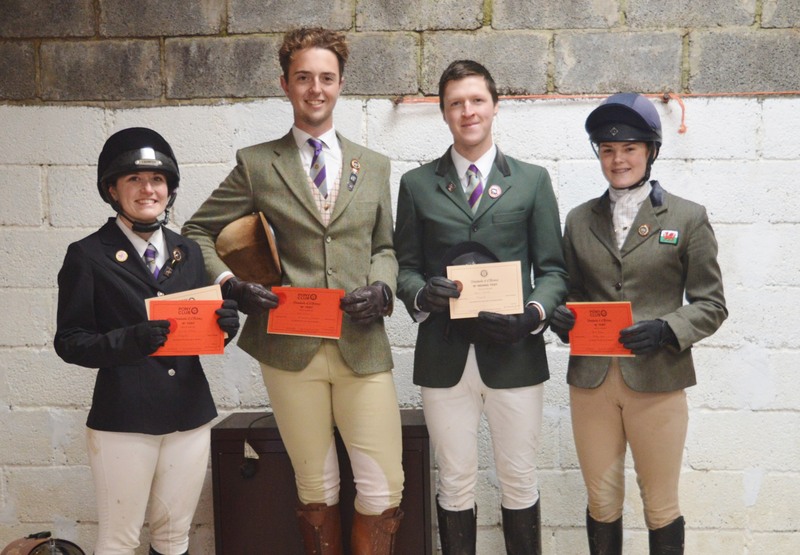 Especially the Tivyside Mixed team who won the intermediate section! 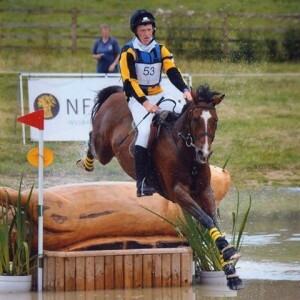 Congratulations to Deon Walters of Neath Branch who has been selected to ride in Canada for Great Britain as part of the Mounted Games Team and is the only Welsh member of the team. Your Branch and Area are very proud Deon! 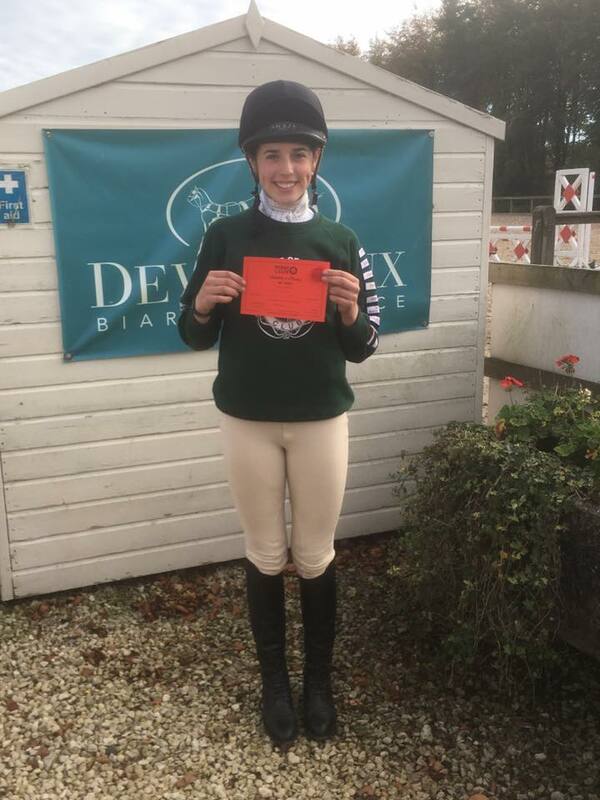 Well done to Pembrokeshire member Anna Ridge, who qualified for the Pony Club/Dengie Winter Championships at Addington Manor in both Novice Dressage and Open Showjumping on Coombe Park Sailor’s Star. Anna did a fantastic test to win her arena at the Championships, which meant she had to ride off against all the other arena winners for the title of Champion. Anna won this and is now the Dengie Novice Dressage Champion! With very little time to spare, Anna and ‘Flye’ had to take off their Dengie ribbons, rug and jacket returning to the main arena for the showcase event the Open Showjumping Grand Prix. 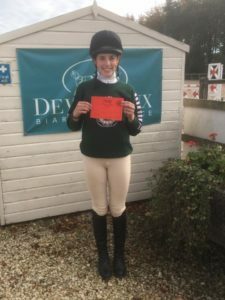 The competition takes place over three rounds, and after the final round Anna was one of only three triple clears and was placed third, giving her yet another Dengie saddlecloth! What an amazing achievement, congratulations Anna and Flye. Well done to all other competitors from Area 18 who took part in the Dengie Championships, great team spirit from parents and members alike.